Want to know what your current IELTS level is? Try our new Assessment Report option! ​Ready to get started? Find out your YOUR current level now! 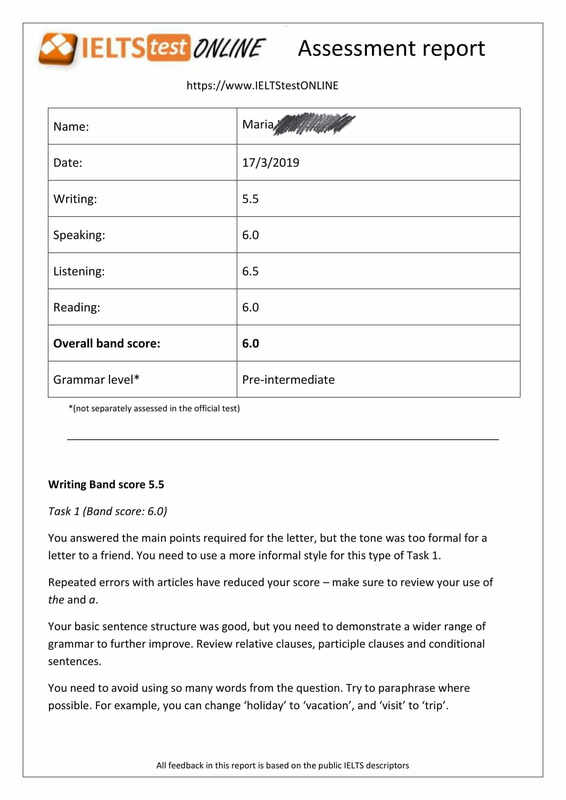 You will be given a complete reading test, writing test, listening test and a live one-to-one speaking test (as well as a grammar test, even though that’s not technically a ‘separate’ part of the official IELTS test). 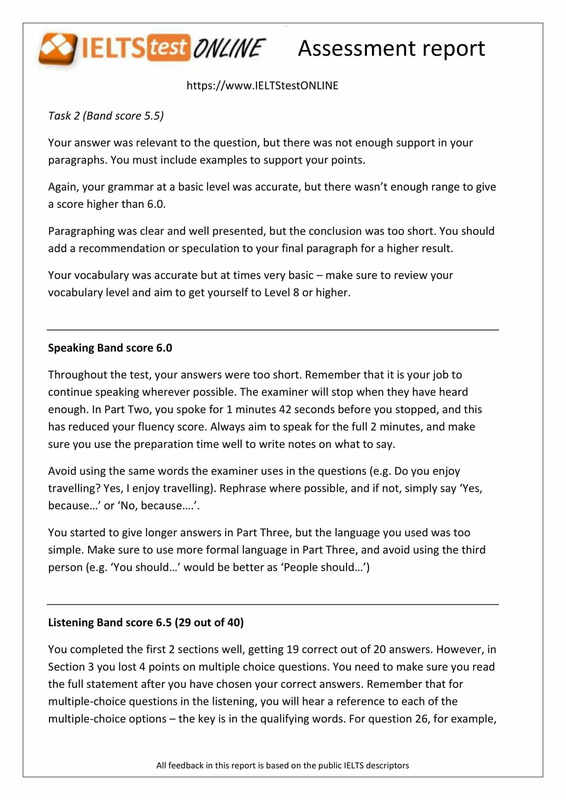 We will then review all of your answers to help you identify exactly what you need to do improve to reach the band score you need (or even confirm that you are already at the level you need to take the official test!). 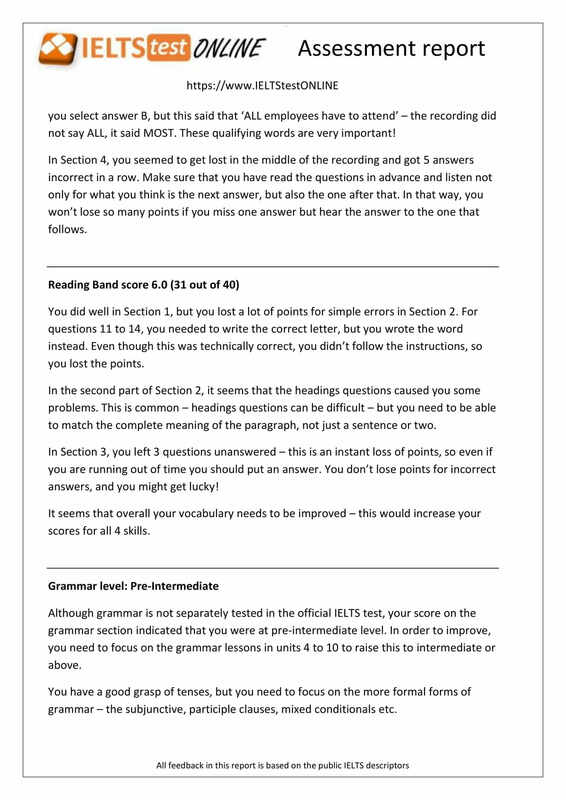 After over 20 years of IELTS coaching, we are so confident that our report is accurate that we will refund 100% of your fees if you are not within half a band of our estimated score when you take the official test. To make sure we’re clear – if we estimated that you are currently at Band 7.0 overall and you get a Band 6.0 in the official test within 60 days, we will refund your payment for the assessment report. Taking the official IELTS test is expensive and can be a challenge, but with our Assessment Report you will know with confidence what score you can expect! 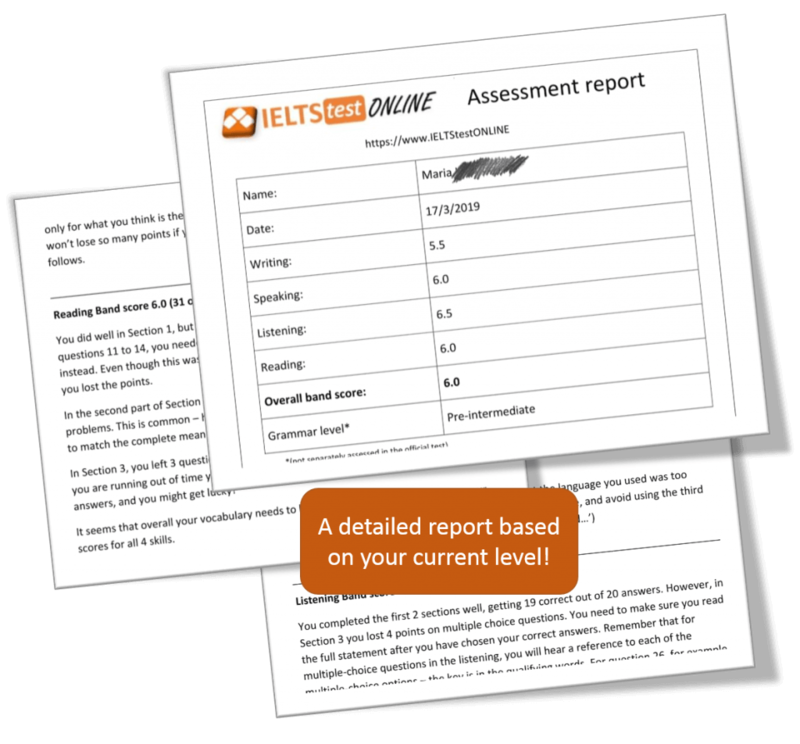 The Assessment Report will break down your scores for each IELTS skill, with detailed information on what you did well and what you need to improve. The report is three pages long (see below for an example).